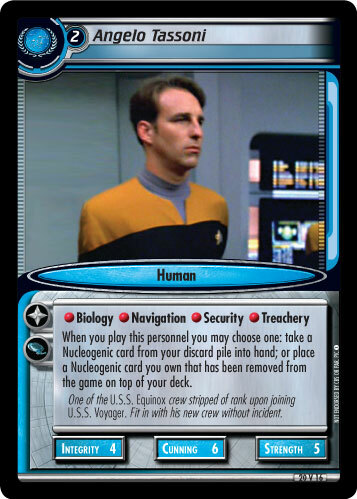 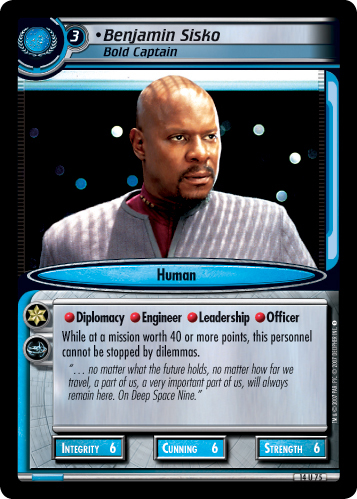 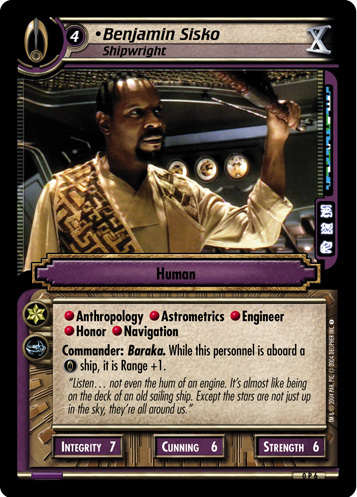 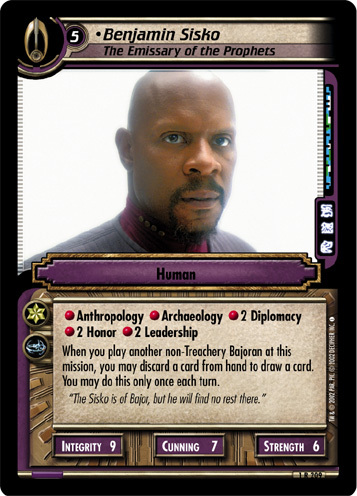 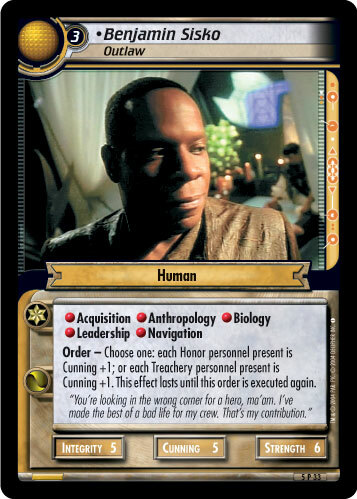 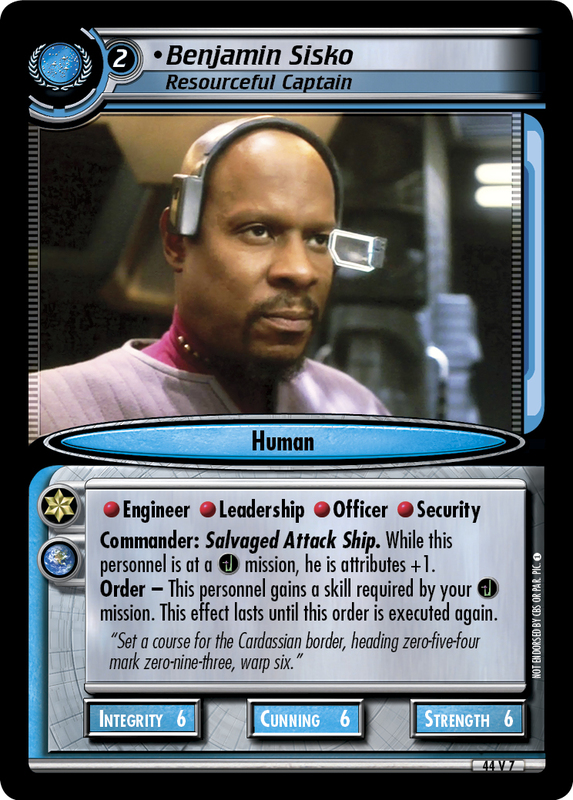 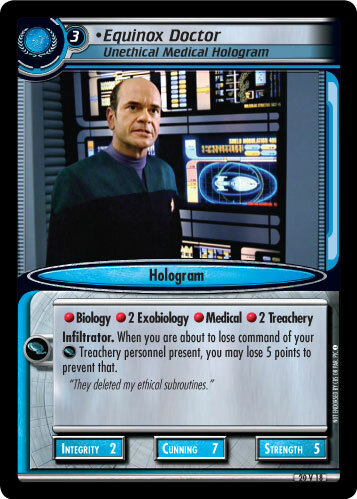 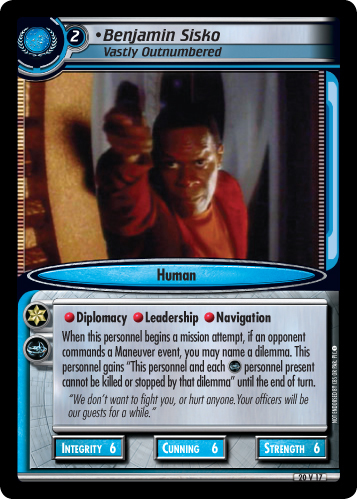 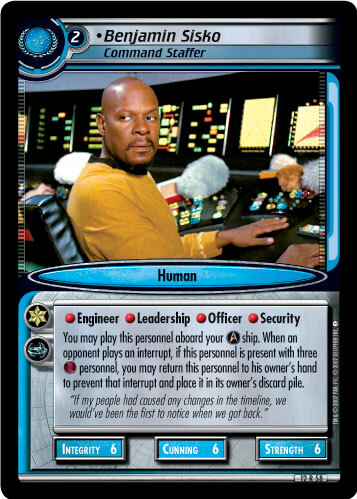 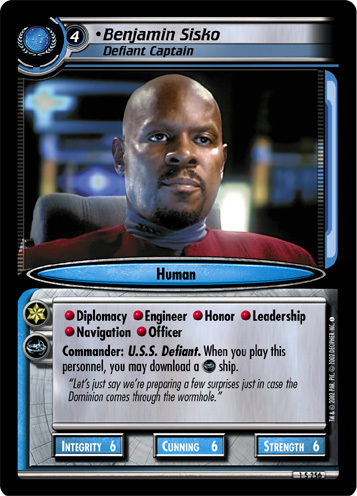 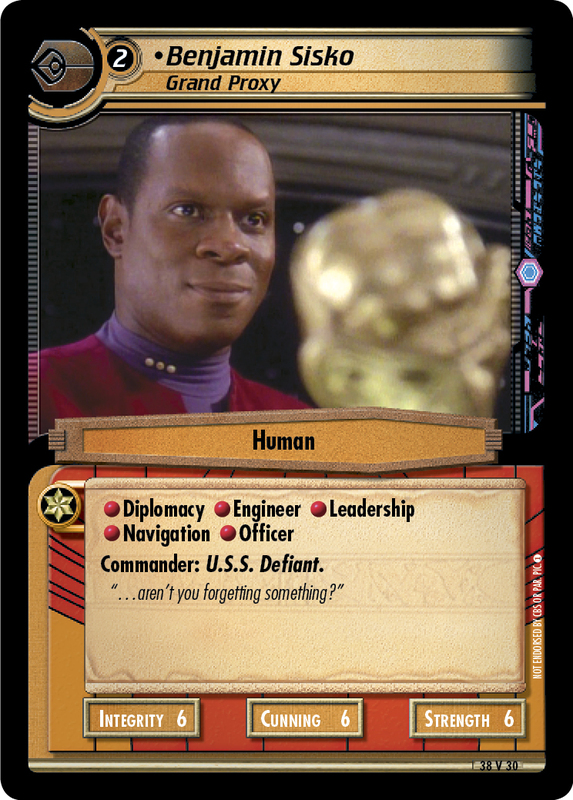 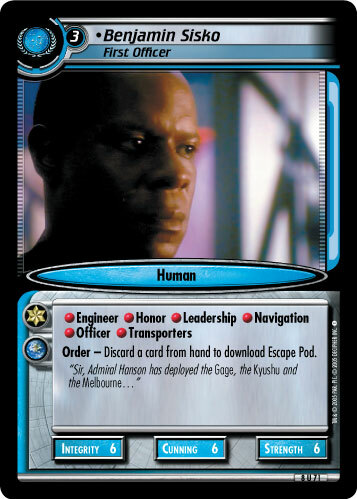 When this personnel begins a mission attempt, if an opponent commands a Maneuver event, you may name a dilemma. 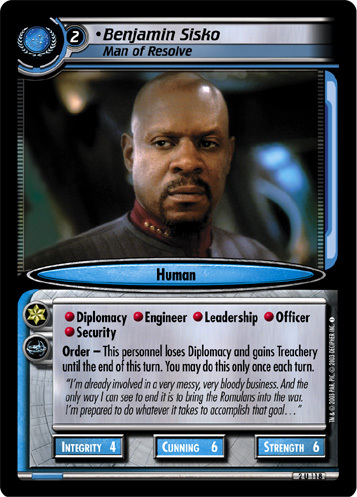 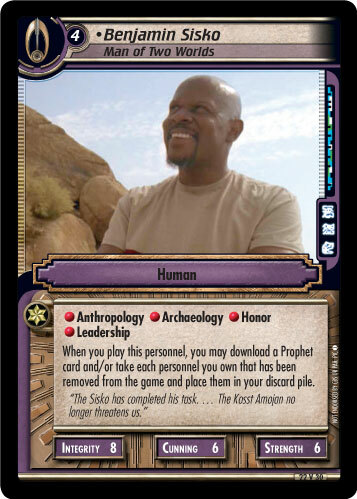 This personnel gains "This personnel and each personnel present cannot be killed or stopped by that dilemma" until the end of turn. 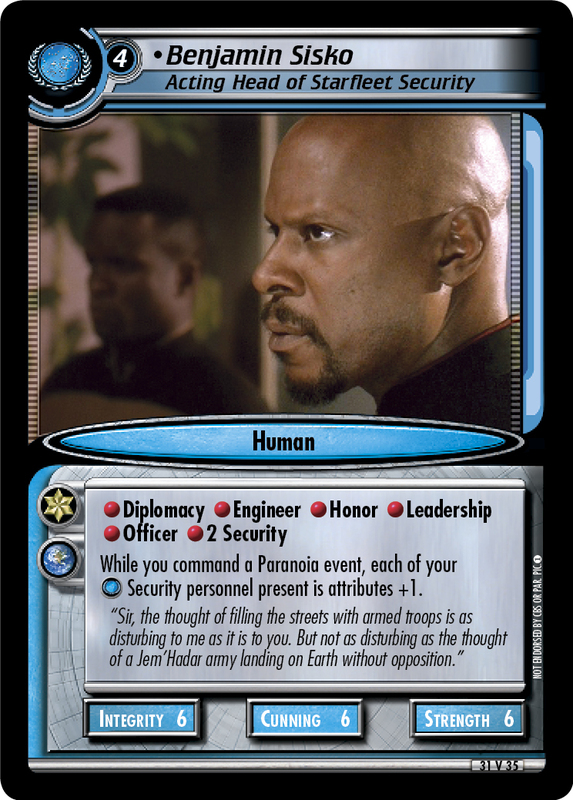 "We don't want to fight you, or hurt anyone. 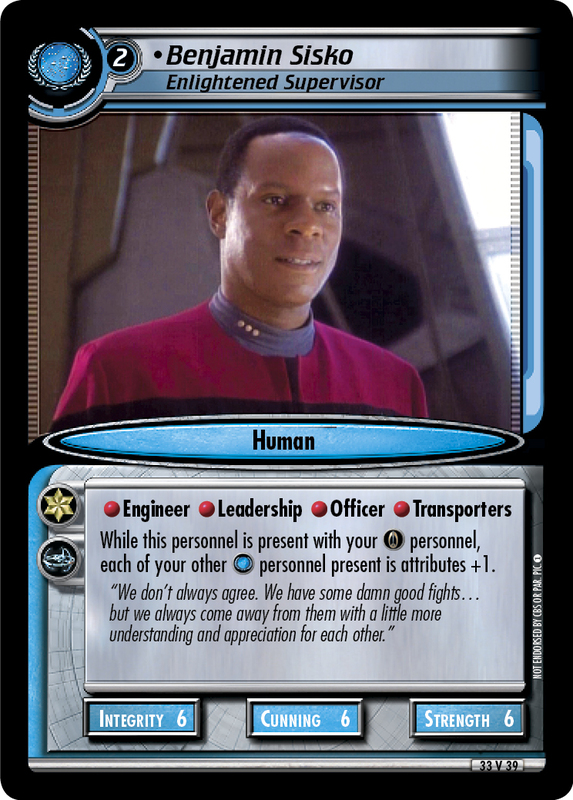 Your officers will be our guests for a while."